Gareth took me to Milwaukee for my birthday a couple of weekends ago and we had my b-day brunch at Cafe Benelux (www.cafebenelux.com) in Milwaukee’s historic Third Ward. It had been recommended to us, so we decided to give it a try. I’m so glad we did, because it was amazing! Their menu is so creative and interesting. 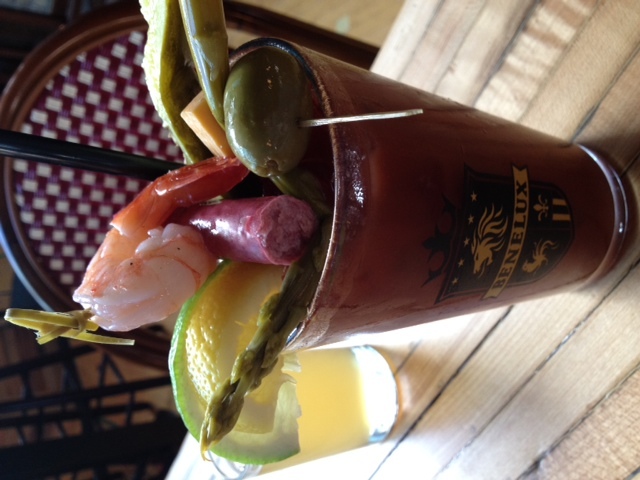 Below are a few of our brunch selections. 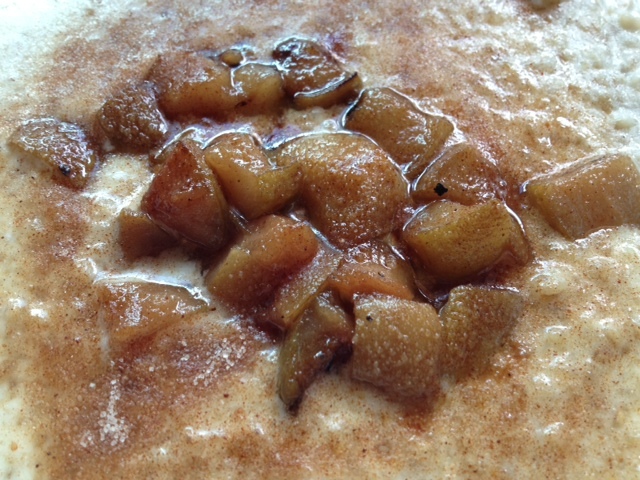 Steel Cut Oats: These oats were piping hot and topped with roasted pear and cinnamon sugar. 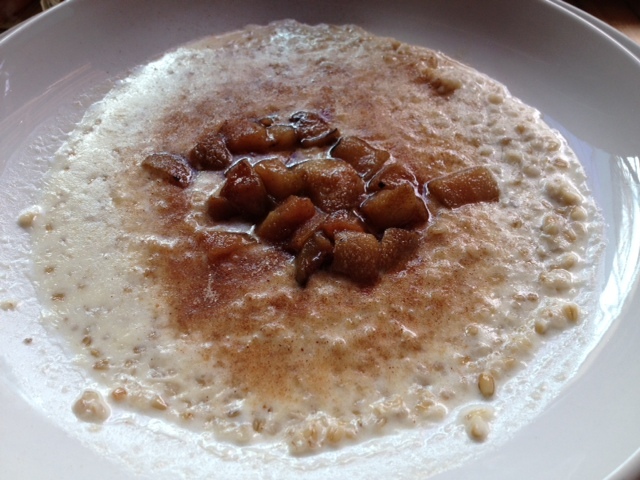 The creamy texture of the oats mixed with the sweetness of the pear was so yummy. It was the perfect breakfast on a cold winter morning! 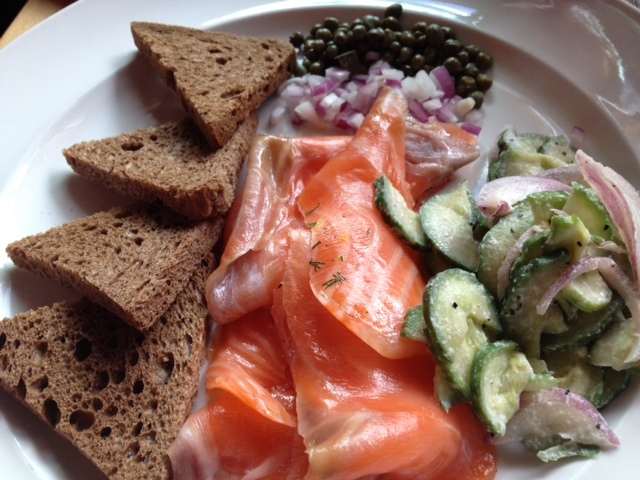 House-Made Smoked Salmon: This plate was complete with capers, red onions, cucumber salad, rye bread toast and last, but not least, their house-made smoked salmon. It was healthy, fresh and delicious. 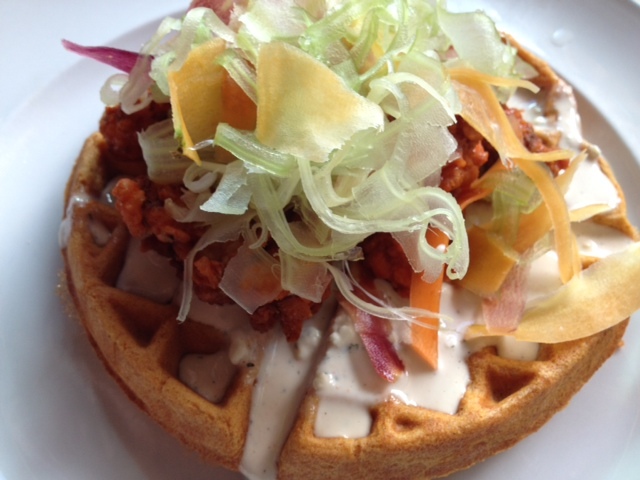 Buffalo Chicken Waffle: This was obviously Gareth’s brunch choice. 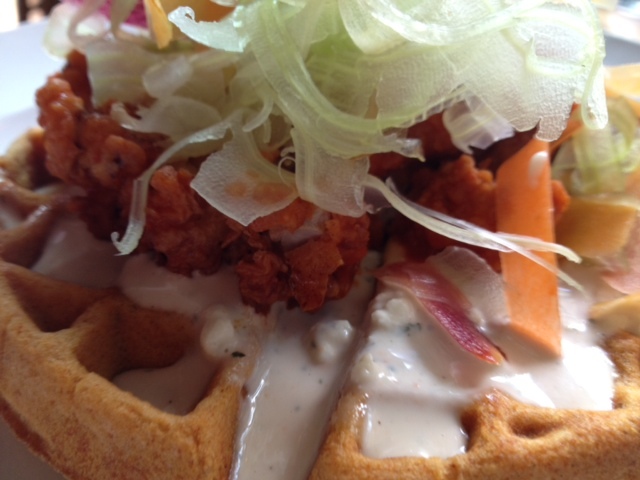 This included a buffalo spiced waffle topped with fried buffalo chicken, shaved celery, shaved carrots and a blue-cheese sauce. The waffle had some sweetness, but overall this was a savory dish. Gareth was in heaven!